Welcome to our Customer Service Desk! 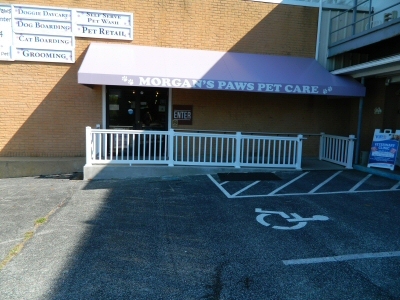 Here at Morgan's Paws Pet Care Center, our staff is committed to offering the best experience for you and your pet as you enjoy our services. That includes helping you make your reservations for dog and/or cat boarding, Doggie Daycare, pet grooming, etc. We are here to answer your questions and offer solutions in whatever way we can.